Spurred on by a corrupted and evil Gennai, the newly Digivolved form of Meicoomon, Meicrackmon, leaves through a distortion in the Digital World to destroy the real world. The countdown has now begun to stop her before the unthinkable can happen, but being trapped in the Digital World, there is little the DigiDestined can do. Alone and unaided, they desperately try and search for a way out to fix the situation, all the while trying to comfort a grief-stricken Meiko, who takes responsibility for Meicoomon’s actions. 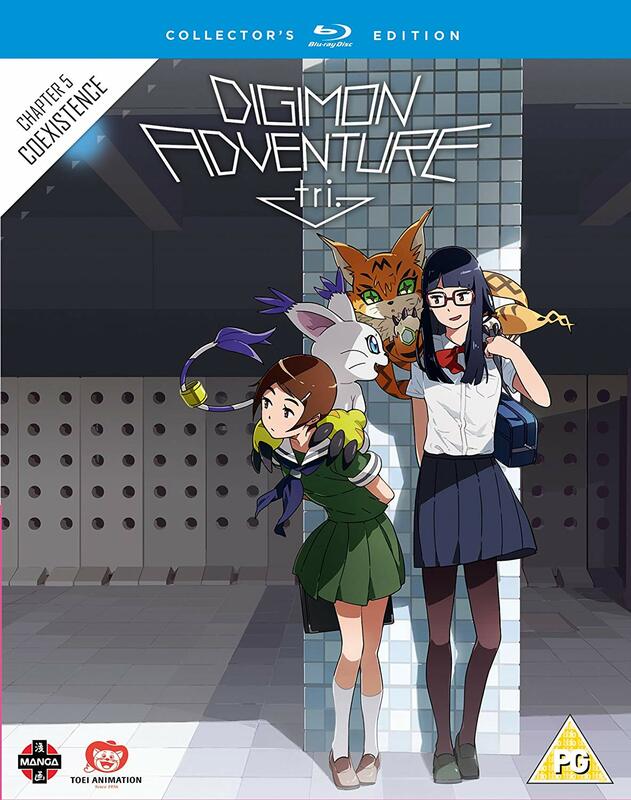 It’s the beginning of the end for the Digimon Tri franchise, as we arrive at the fifth and penultimate entry in the series, Coexistence. It’s been a mixed bag to say the least, with the quality ranging from fantastic to less than stellar, but if this film is anything to go by, it’s set to go out with a bang, setting up all the pieces nicely for what I hope will be a quality ending to the hexalogy. 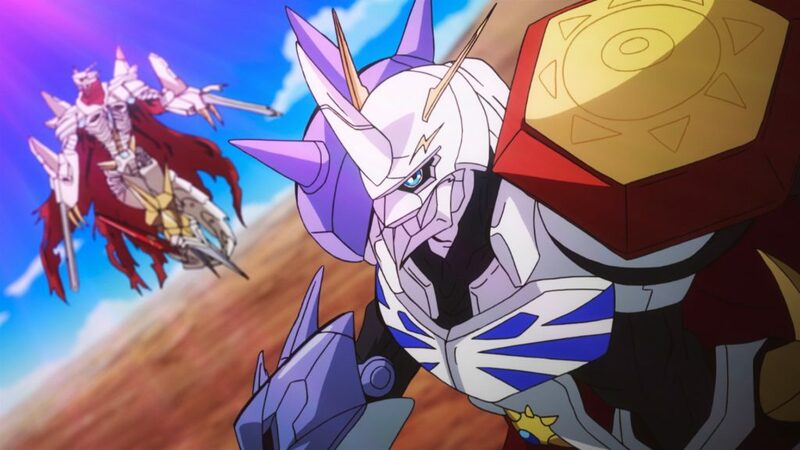 Much in the same vein as the film that preceded it, Coexistence starts off at the moment the fourth chapter (rather abruptly) ended, with Meicoomon running away from the Digital World and into the real world in order to wreck havoc. Right from the get-go, the film is dead set on making sure it doesn’t mess around, as it barrels towards its conclusion with minimal time wasting, having the story move along at a fairly good pace throughout. A big issue with a number of the other Tri entries is that they are very happy to include lengthy and pointless scenes of the characters doing nothing of interest, generally just messing about, so the fact that this entry remedies that is a huge plus, and I can only assume it’s because we’re so close to the end that the writers realised that there wasn’t time for that anymore. There is still one scene where this happens, in which the cast sit and tell ghost stories. The world is on the brink of total destruction,and even if the characters do have a moment to themselves, the mood isn’t right for something like this, which one of them even points out, meaning the writers were aware of the fact, and still chose to keep the scene intact. Still, this is the only blip along the way, with the rest of the movie keeping a relatively consistent downbeat tone, which comes part and parcel with any good penultimate entry in a saga. I was also quite the fan of the ending offering up a good cliffhanger that makes you actively anticipate the finale, as well as offering somewhat of an emotional gut punch to the audience, even if the nature of the franchise lessens the impact, knowing it will likely be reversed. 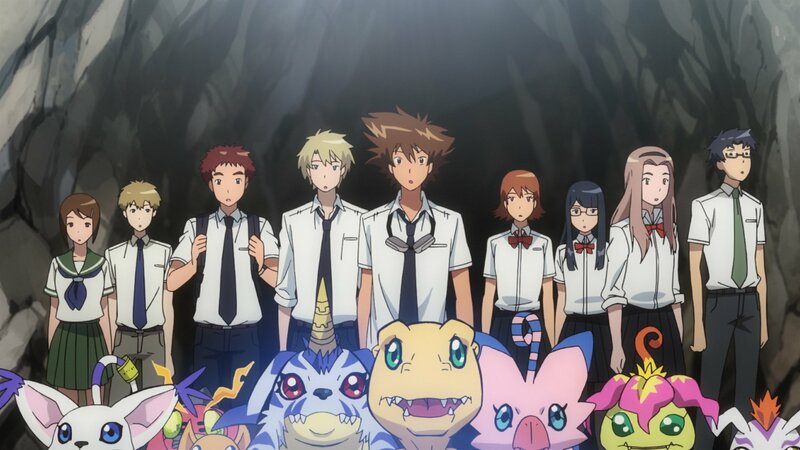 One element of the plot I did find somewhat puzzling was how totally glossed over the side story concerning the original DigiDestined, that precede the ones we see in Digimon Adventure, which was introduced back in Chapter 4: Loss, but wasn’t given much screen time considering how important it seemed to be for the franchise as a whole. I was expecting for Coexistence to shed some more light on that whole plot thread, yet we get a meagre two scenes, and the whole thing seems to go nowhere, and I’m pretty sure that whole subplot is done with. I won’t spoil anything, but it does seem like very little was achieved by showing us any of this, which is a shame. It’s a neat concept, but without any actual substance, it just makes for more filler. As I have come to expect from the Tri franchise, action in Chapter 5: Coexistence is sparse, but I’m not overly bothered by this, as I would rather see them focus on the story and characters than an over-abundance of flashy action set pieces. 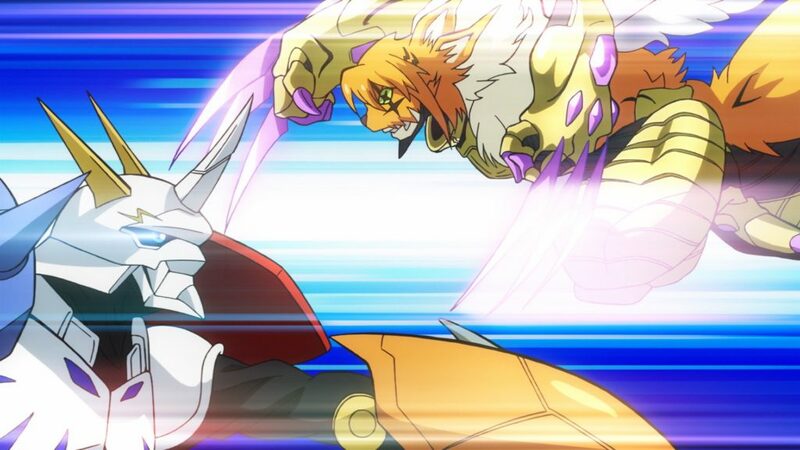 That being said, when we do see the Digimon tussle, it is, as always, pretty spectacular. In this entry, our climax sees a four way free-for-all between mega level Digimon, which is every bit as exciting to watch as it sounds. Although it is almost certainly amongst the most narrative driven entries to date, Coexistence doesn’t totally eschew its characters for its plot. The newest addition to the cast, Meiko, who debuted in Chapter 1, is the character in the spotlight for this entry, as she tries to deal with the ever increasing guilt brought about by Meicoomon’s actions. Meiko’s mood is the biggest contributors to the general dour tone of the movie, as she perpetually remains in a state of self pity throughout, with the gang giving her multiple pep talks to try and make her feel better. The first time this happens, it’s totally reasonable and justified, but we get another two scenes later on that serves an almost identical purpose, and these get repetitive, especially when the outcome is the same. The third and final one of these ‘pep talk’ scenes is a pace killer too, slowing everything to a crawl just to repeat something we’ve already heard before. It doesn’t last too long, but it’s still longer than it probably should be, and very noticeable. As mentioned in all my previous reviews of the Tri films, I absolutely cannot fault any of the production work that goes into this series, with the visual and audio sides of things being as high quality as ever. 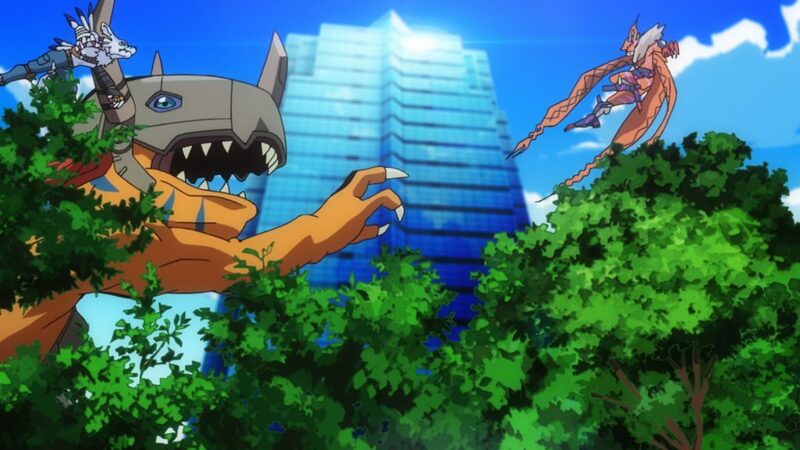 Digimon Tri Chapter 5: Coexistence cuts the fat of previous entries as it hurtles towards its conclusion, managing a good balance of story and character, as well as setting up the pieces for an explosive finale. Some of your favourite franchises are getting re-releases in complete collection form! 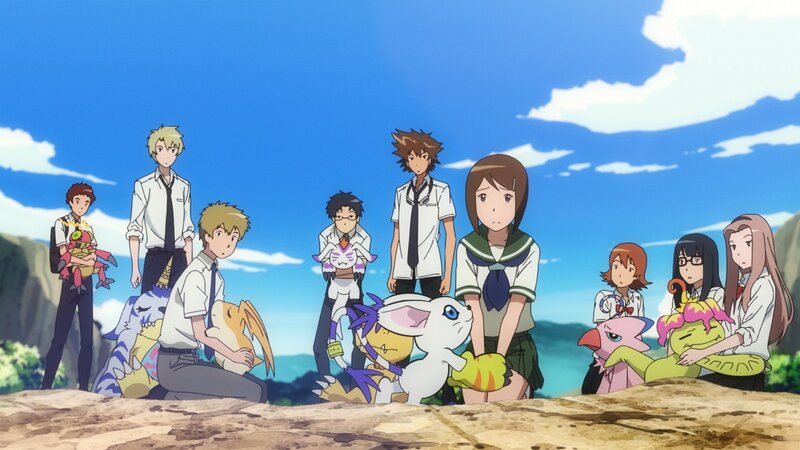 This more grounded take on the Digimon formula proves to be the most successful to date, with a surprising amount of depth that makes it immensely enjoyable as an adult, whilst still providing all the fun, action and adventure that appeals to kids.